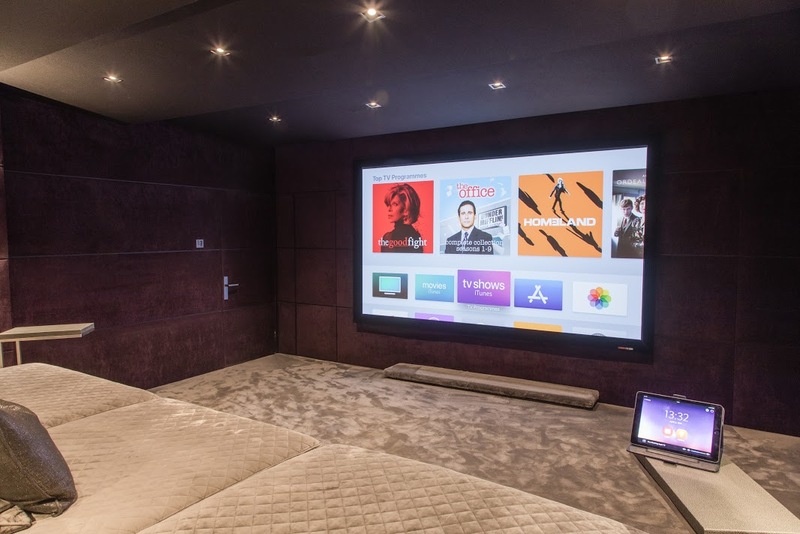 This was a great project to work on for Finite home solutions. 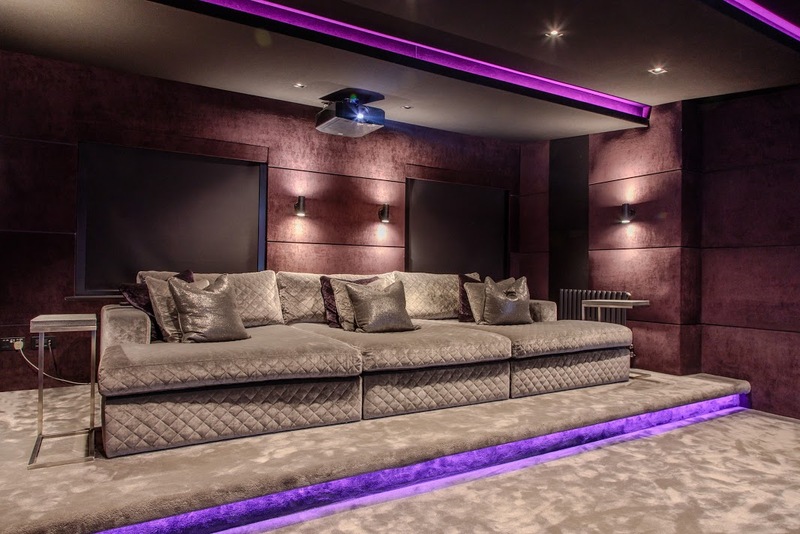 We took the room from an ordinary living area to a luxurious, high end home cinema. After design meetings with the client and Finite, we agreed on a room design and fabric choices. A stepped design was chosen for the ceiling and for the walls the client wanted padded fabric panels in horizontal bands around the room. 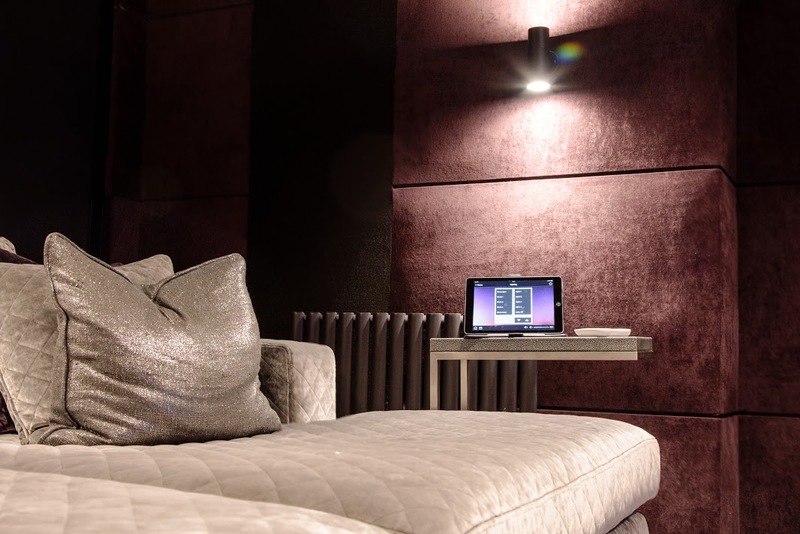 Crushed velvet fabric was chosen for the walls to give a cosy, luxurious feel and black acoustically transparent fabric was chosen for the ceiling. *We built out the front wall and rear side walls to accommodate speakers and acoustic treatment. *We formed a cupboard either side of the screen. *We formed the stepped ceiling, allowing for upstands to house led strip lights and we put in supports for ceiling speakers and spotlights. 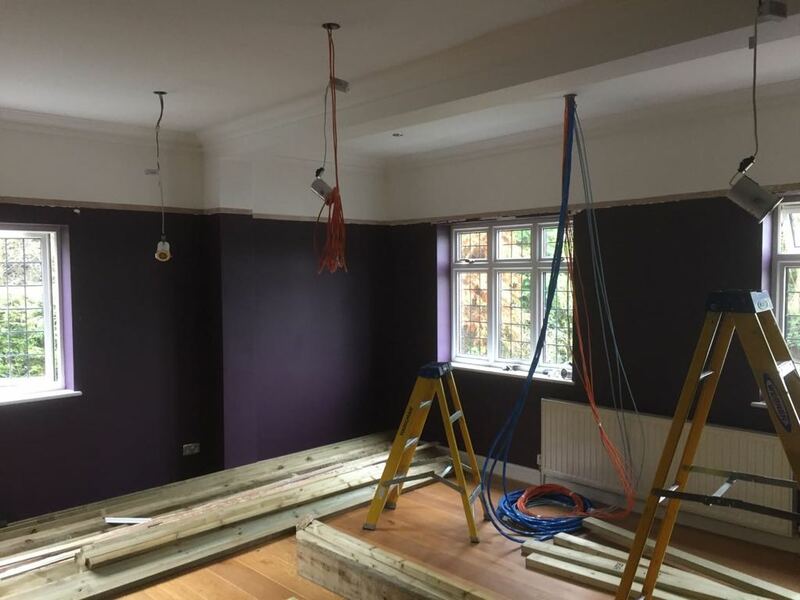 *We supplied and fitted acoustic treatment throughout the room. *At the back of the room we formed a raised platform for the clients custom made sofa. 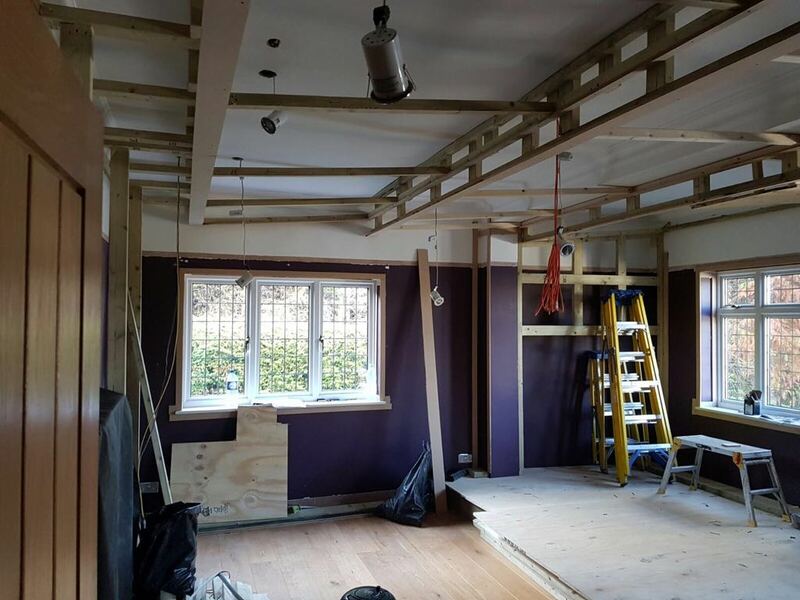 *We fitted our tracking system to all wall sections and ceiling to allow fabric to be fitted. 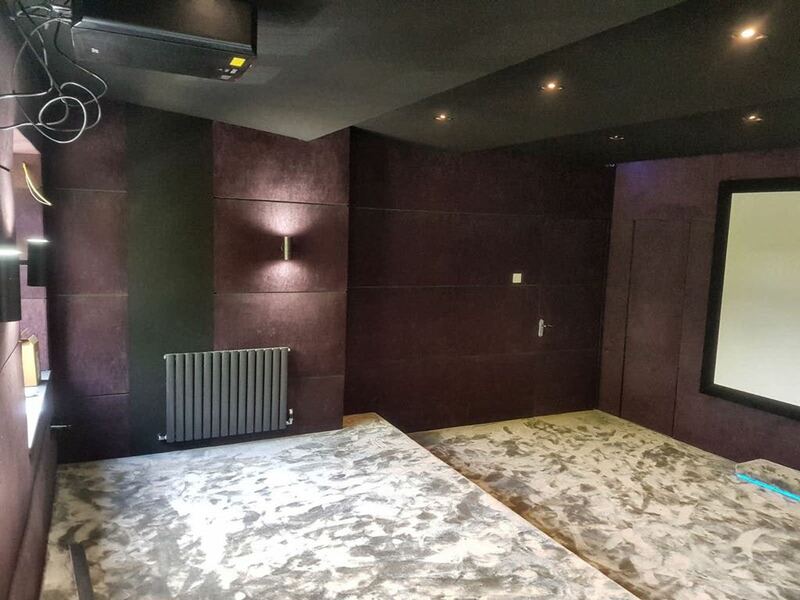 *We fitted crushed velvet fabric on all walls in four horizontal bands with a shadow gap. *We continued the horizontal fabric bands and shadow gaps onto the entrance door and two cupboard doors to create hidden doors. 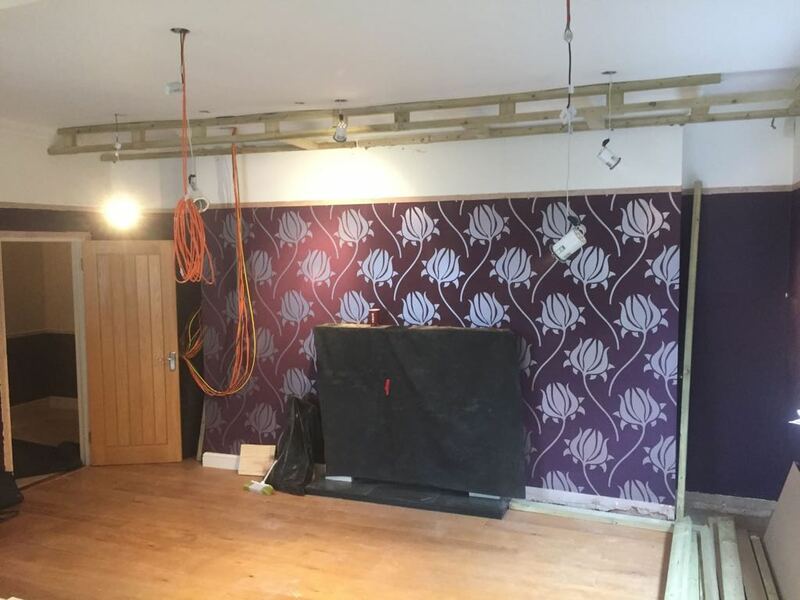 *Extra padding was fitted to wall panels to give the desired effect. *We fitted black acoustically transparent fabric to ceiling sections and vertical columns covering the speakers. *We made pelmets for the black out blinds and covered with the crushed velvet fabric used on the walls.